I want to bring some important points from the previous chapters into closer focus. It seems, according to the Cassiopaeans, that the coming of the Wave is parallel to the increase of awareness of a small number of human beings. It is rather like The Wave is increasing awareness, and then the awareness is accelerating The Wave — a feedback loop, so to speak. Not only that, but it seems that only those people who have completed certain lessons will graduate to fourth density. As I understand it, the rest will find themselves on a third density Earth that has possibly been devastated by wars and/or cometary impact, the accoutrements of civilization having been wiped out, and perhaps, though I am not certain of this, the conceptual abilities required for rebuilding civilization will have been limited by virtue of the new “cosmic ray environment”. Not a pleasant prospect for some, but for others, the idea of starting over at the beginning of third density and having many thousands of years to go through many lifetimes partaking of the “delights of the flesh” is apparently rather appealing. Another important issue we have encountered is that of “gravity”. The Cassiopaeans have said that the STS (Service to Self) mode is a reflection of the collecting of gravity and that STO (Service to Others) is a reflection of the dispersion of gravity. What can this mean and what ramifications are implied? Is it a similar concept to what I suspected when I wrote Noah1 and talked about “contact potential difference”? Does it mean that the forces on the planet that desire to control, and who are duping humanity so effectively, are going to actually contribute to the “magnetizing” of the Wave to our reality, the very thing they may wish to avoid? And what might it mean for a person to be in a “gravity collecting” mode when The Wave “hits”? Will it then affect them differently than a person who is in a “gravity dispersion” mode? Nevertheless, we have many other people who want to know what it is we have to learn in order to be ready to graduate. It seems that we don’t have to be at a higher level in order to go there… we only have to have learned what is here as thoroughly as possible. This rather puts a different light on the matter because it relieves the burden of guilt that most people labor under when trying to work to advance spiritually. They think that if they are not already doing it or capable of higher-level actions, that they are somehow at fault or defective and will be left behind. Fact number one: All there is is lessons. Fact two: This is one big school. Fact three: Timing as you perceive it, is never, NEVER definite. Fact five: The learning cycle is variable, and progress along it is determined by events and circumstances as they unfold. But still, we must talk about what it is we are supposed to be doing here. What is the point of communicating with the Cassiopaeans or any other source, for that matter, if we are just supposed to be here and learn and do until we have learned and done it all? Remember, density refers to one’s conscious awareness only. Once one is aware, ALL conforms to that awareness. This seems to be a crucial key to our understanding of the events and manifestations of our lives. “Once one is aware, ALL conforms to that awareness.” What does this mean, really? The question that keeps returning to me is: Why, if all this is true — or only half true — can so many people ignore it? Why have skeptics such as writer Philip Klass and the late astronomer Carl Sagan asserted that UFOs are some kind of hysterical delusion? …There are certain things that I find very hard to accept. For example, the notion that aliens can travel backwards in time. It has always seemed to me that time travel is an impossibility. It would involve obvious paradoxes, such as being able to go back to the “you” of five minutes ago — or even five seconds ago — and bring that “previous-time-you” to the present so there were two “you’s”. …Then I realize that, as a writer on psychical research, I have accepted for nearly three decades the reality of precognition — people who see, with complete accuracy, something that has not yet happened. But chaos theory tells us that there is no scientific way of predicting what will happen in a few days time. Like Linda Moulton Howe, Jacques Vallee and John Keel and everyone else who has studied the UFO phenomenon, I find myself trying to formulate a general theory that encompasses a mass of utterly confusing and contradictory information. …When I try to look at the whole phenomenon, I come back to my most basic intuition which has been at the heart of all my work since The Outsiders in 1956: that there is something oddly wrong with human consciousness. Although we have evolved further than any other animal on the face of the earth, it is at the cost of an absurd narrowness, which means that we look at reality through the long end of a telescope, failing to see the wood, or even leaves because we can only focus on individual trees… We see the world from a worm’s eye view, when we urgently need a bird’s eye view. …Our greatest need at this point in our evolution is to change our intellectual viewpoint — to recognize that we are not alone in the universe and that we ought to be making far more vigorous use of the intelligence we possess. Our narrowness hypnotizes us into passivity. …It seems to me that what is now being forced upon us, whether we like it or not, is a more universalistic point of view. I do not know whether the “aliens” are trying to tell us this, or whether it is something altogether bigger. But we are certainly being told that we have to wake up. The UFO phenomenon — or many related phenomena — is gradually forcing us to accept that there are “other realities and dimensions,” and that we cannot continue living like cows ruminating in a field. …What is now happening is demanding our attention with a persistence that cannot be ignored and will become more persistent until it gets our full attention. Like Colin Wilson, my own introduction to the UFO phenomenon was a powerful experience (described in High Strangeness). I was not only a skeptic about folks seeing little green men in strange craft that could appear and disappear — or even appear to only half of a given group of people at the same place and time — I was perfectly contemptuous of it! But, I don’t want to get sidetracked onto that issue just now; I want to deal with the learning of the lessons of third density, or the “simple understandings” that the Cassiopaeans have noted as the prerequisite for graduating to fourth density. Colin Wilson noted above, “Our narrowness hypnotizes us into passivity.” Is that really the case, or is our narrowness the result of a sort of hypnosis? The Cassiopaeans say that we have been programmed through DNA manipulation, to be able to only perceive a limited band of the reality in which we live and move and have our being. In High Strangeness, I told the story of the “Third Man” hypnosis experiment, where the subject is given a hypnotic suggestion that he cannot see a third man enter the room. The third man enters and performs a series of actions, such as picking up objects and moving furniture, which the subject cannot comprehend. Instead he sees the objects floating in the air and hears anomalous noises with no apparent source. He cannot see the third man. I have received a number of curious reactions to this story, one of which is that people understand it to merely imply the presence of spirits in the world being masked from us by our belief systems. This is a sort of partial awakening to other realms, as Colin Wilson described above when he made his remark about psychic phenomena. But the implication is far deeper than that. If you take away the specific scene in which the story is portrayed, leaving only the third man and the observer, you can extrapolate that the Third Man represents all of the phenomena of our world. We see a flower, but we are hypnotized as to how to perceive it. We see clouds, but we are hypnotized as to how to see them. We don’t really know what the true reality is! We don’t really know what an “essential flower” looks like. What we are seeing is our interpretation of a series of waves or fluctuations of the medium of our reality, which we interpret according to our programs or hypnosis. We see only three dimensions of what is conceivably several. The next important thing about the story is that, depending on the program different people can attribute different hidden forces to the phenomena presented, according to their belief systems. But, what we wish to know is: what is the objective reality? The ways and means that we ensure survival of the ego is established pretty early in life by our parental and societal programming. One of the first things we might observe is that everyone has a different set of beliefs based upon their social and familial conditioning, and that these beliefs determine how much of the objective reality anyone is able to access. This conditioning determines what is or is not possible; what we are allowed to believe in order to be accepted. We learn this first by learning what pleases our parents and then later we modify our belief based on what pleases our society — our peers — to believe. Each and every human being perceives the Third Man according to their programming which activates or is activated by their belief system. This is their “state of awareness”. They can only be aware of what they believe they can be aware of, and all else becomes either “invisible” or “anomalous” and disregarded or covered up by the survival program of the subconscious mind. As one continues to think about this problem, one realizes that there is a possibly huge gap between what we perceive as real and the actual objective reality… and no matter how we try to be objective, we can never be sure. The only thing that seems to offer a way out is to simply observe the phenomena and compare the perceptions with a lot of other folks and try to narrow down the “constant” that is present in all of them. In this way, we can have a closer idea of what the Third Man really is, and what he is really doing, and what then, should be our best response. And, of course, observing phenomena means, in its most literal sense, to gain and gather knowledge of every form and sort so that one has a sufficient database from which to draw conclusions about observations of one’s environment. But, this is difficult to do because one’s beliefs are intimately tied to emotions! Remember: our beliefs are formed in emotional situations of interactions with our parents and other authorities of our infancy and childhood. It is very frightening to even contemplate breaking free of this safe, inner environment. Otherwise, we find ourselves in a reality where all sorts of anomalous things will be going on around one — observable in classical and quantum terms — but the objective raison d’etre will be unavailable for contemplation. One will be unable to see the “Third Man”, and will then be subject to the whims and inclinations of said personage, whoever or whatever he really is! Q: (L) Does the interaction between the spirit/soul and the body physical produce some byproduct that is desirable to other beings? A: Well, all things have desirable consequences as well as undesirable consequences, but it must also be mentioned here that everything that exists in all realms of the universe can experience existence in one of only two ways. That would be defined as a long wave cycle and a short wave cycle. Going back to your previous question about why humans are “entrapped” in physical existence, which, of course, is voluntary and chosen, this was due to the desire to change from the long wave cycle experience of completely — what you would call — ethereal or spiritual existence, to the short wave cycle of what you call physical existence. The difference is that a long wave cycle involves only very gradual change in evolution in a cyclical manner. Whereas a short wave cycle involves a duality. And this is the case with souls in physical bodies as is experienced on this earth plane because the soul experiences an ethereal state for half the cycle and a physical state for the other half of the cycle. While these halves are not measured in time the way you measure time, the totality of experience is equal in each half. The necessity to form the short wave cycle was brought about through nature through the natural bounds of the universe when the group mind of souls chose to experience physicality as opposed to a completely ethereal existence. Q: (L) Does this interaction produce a byproduct? A: It produces equal byproducts of a positive and negative nature. Q: (L) And what are these byproducts? A: Positive byproduct is an increase in relative energy that speeds up the learning process of the soul and all of its one-dimensional and two-dimensional interactive partners. In other words, flora and fauna, minerals, etc. All experience growth and movement towards reunion at a faster rate on the cycle through this short wave cycle physical/ethereal transfer. Of a negative nature, it also produces many negative experiences for these very same entities which otherwise would not exist because being of a first level and second level nature, flora and fauna would ordinarily experience a long term or long wave cycle on the physical plane as opposed to a short wave cycle physical and ethereal, as they do now because of their interaction with the human species in its short wave ethereal/physical cycle. Q: (L) The comment was made at one point that certain alien beings abduct humans and subject them to cruel and torturous deaths in order to create “maximum energy transfer”. In this respect, what is this maximum energy transfer that occurs during a long, slow, torturous dying process? A: That is very complex and very difficult to describe because it is on the fourth level of density, which you do not understand. But, part of their reason for existence on the fourth level is their ability to nourish themselves both through ethereal methods and through physical methods. Therefore, this energy transfer would represent the ethereal method of nourishment and other means are achieved physically. A: Well, the drinking of blood and blood byproducts would be an example of that. A: They function by interaction with the souls of the Lizard beings. This technology is extremely far in advance of that with which you are familiar, but the Gray beings are not only built and designed artificially, but also function as a projection mentally and psychically of the Lizard beings. They are like four-dimensional “probes”. Q: (L) As four-dimensional probes, what are their capabilities? A: They have all the same capabilities of the Lizard beings except for the fact that their physical appearance is entirely different and they do not have souls of their own and also their biological structure is internally different. But, their functioning is the same and in order to remain as projection beings, they also must absorb nutrients in the same fashion both spiritually and physically as the Lizard beings do. The reason the negative energy is necessary fuel is that the Lizard beings and the Grays are both living in the fourth level of density, which is the highest level of density one can exist in serving only self as these entities do. So, therefore, they must absorb negative energy because the fourth level of density is the highest example of self-service, which is a negative thought pattern. The fourth level of density is a progression from the third level of density. With each progression upward in density level, the existence for the individual conscious entity becomes less difficult. So, therefore, the fourth level of density is less difficult to exist in than the third; the third is less difficult than the second, and so on. It puts less strain on the soul energy. Therefore, beings existing on the fourth level of density can draw from beings existing on the third level of density in terms of absorption of negative soul energy. Likewise, beings on the third level of density can draw from beings on the second level of density, though this type of drawing is not as necessary but is done. This is why human beings existing on the third level frequently cause pain and suffering to those of the animal kingdom who exist on the second level of density, because you are drawing negative soul energy as beings who primarily serve self, as you do, from those on the second level, and on the first, and so on. Now, as you advance to the fourth level of density, which is coming up for you, you must now make a choice as to whether to progress to service to others or to remain at the level of service to self. This will be the decision, which will take quite some time for you to adjust to. This is what is referred to as the “thousand year period”. This is the period as measured in your calendar terms that will determine whether or not you will advance to service to others or remain at the level of service to self. And those who are described as the Lizards have chosen to firmly lock themselves into service to self. And, since they are at the highest level of density where this is possible, they must continually draw large amounts of negative energy from those at the third level, second level, and so on, which is why they do what they do. This also explains why their race is dying, because they have not been able to learn for themselves how to remove themselves from this particular form of expression to that of service to others. And, since they have such, as you would measure it, a long period of time, remained at this level and, in fact, become firmly entrenched in it, and, in fact, have increased themselves in it, this is why they are dying and desperately trying to take as much energy from you as possible and also to recreate their race metabolically. Q: (L) Well, since there are so many of us here, why don’t they just move in and take over? A: That is their intention. That has been their intention for quite some time. They have been traveling back and forth through time as you know it, to set things up so that they can absorb a maximum amount of negative energy with the transference from third level to fourth level that this planet is going to experience, in the hopes that they can overtake you on the fourth level and thereby accomplish several things. 4: expanding their race throughout the realm of fourth density. To do all of this they have been interfering with events for what you would measure on your calendar as approximately 74 thousand years. And they have been doing so in a completely still state of space-time traveling backward and forward at will during this work. Interestingly enough, though, all of this will fail. Q: (L) Did any aliens at all, and specifically the Lizzies, ever live among mankind and receive worship? We note in the above extract, a very clear distinction between Service to Self and Service to Others in terms of seeing. The former is subjective and sees only what it wants to see; the latter is objective and sees all. [STS is seeing only what you WANT to see and is] the highest manifestation possible of that which you would refer to as wishful thinking. And, wishful thinking represented on the fourth level of density becomes reality for that level. You know how you wishfully think? Well, it isn’t quite reality for you because you are on the third level, but if you are on the fourth level and you were to perform the same function, it would indeed be your awareness of reality. I have tried to convey to many people the amazing changes in my own life as a result of the change in my awareness — the burning away of what I had believed, or wanted to believe about our world for so many years. What I have had difficulty describing is the completely new feeling that the universe has for me. It is truly like I went from a completely different universe to the one I presently occupy, and all the rules are different — commensurate with my awareness. As I gained more and more knowledge about the way things worked, I began to apply it to all that I experienced in my daily life. This brought about many changes because I made different choices about things than the choices I would have formerly made. Yes, many of these choices were based on things unseen, things that went against the standard, indoctrinated cultural view of our world with which we are brainwashed by our society, and many of these choices were simply incomprehensible in ordinary terms. But, the fact is, I made them, acted on them, and the results were nothing short of amazing! I was learning to read the subtle clues about the world and the interactions of people that are veiled from us. And these clues were well beyond the usual psychic impressions of your standard “psychic sensitive”, I can assure you! Quite often, it required very hard work to “see” beyond what I wished to see based on emotional inclinations, or what “felt good”. Sometimes, seeing the truth feels very “bad”, but only because we are conditioned that way. In States of Denial: Knowing about Atrocities and Suffering (Malden, MA: Blackwell Publishers, 2001), Stanley Cohen describes denial as an “unconscious defense mechanism for coping with guilt, anxiety and other disturbing emotions aroused by reality.” Reasons for denial vary between those clearly known to unpleasant truths that fatigue us upon acknowledgement. These vary from simply denying that the existing facts exist, to changing the interpretation of a given experience, to relinquishing the moral implications that follow from deep acknowledgement of a given truth. His conclusion is that “the scientific discourse misses the fact that the ability to deny is an amazing human phenomenon … a product of sheer complexity of our emotional, linguistic, moral and intellectual lives”. One of the first things that happened to clue me in on some of these things was a strange incident that occurred while I was waiting to pick up my daughter from school one day. I was sitting in the car in the parking lot of the high school and watching all the kids pour out of the building and do all the things that kids do when they get out of school. I had been following this schedule for some time, and every day I was witness to these strange rites and rituals of American Teenagers. One thing I was aware of by the many things my daughter had talked about regarding the kids of today, was the extreme factionalization, or cliques that form in schools. This has always been the case to one extent or another, but in today’s world, it seems to be even more pronounced than ever. In my high school, it was more or less an economic division that led to a social structure and manifestation that then led to a social designation. This was pretty easy to understand and it had its reflection in real life, to some extent. But, today, it is all different. Nothing is so clear-cut (which is not to say that the clear-cut system of the past was desirable!). The groups and cliques that form in modern high schools are something else altogether. I was fascinated by the changes and curious about why it was so, and what were the essential, underlying dynamics. My daughter informed me about the gangs, the “Crips” or whatever, as well as the “style groups”, such as Preps, Jocks, Loadies, Gothics, and so forth. One thing that seemed clear to me was that economics had very little to do with any of it. A child of a well-to-do family was as likely to be a member of a gang, or a “Goth” as a child of a poor family. Drugs were common across all of the groupings. And, being a virgin didn’t seem to be one of the things that made you belong to one group or another as it did when I was in high school. The number of kids doing well in school also seemed to have dropped to an all-time low level. So, there I was, watching these kids pour out of the many entrances to the school, forming groups and cliques — each gravitating to their own “kind” to hang out and exchange — what? In the weeks prior to this event, I had been having some interactions with people who presented themselves as lightworker types, but who were later revealed through funny coincidences to be quite the opposite. Some of these events are chronicled in Soul Hackers. Throughout these experiences I had thought of the idea of “turning off the sound” and just looking at the dynamics. They were so busy saying this and saying that and trying to make a good impression by convincing me and others of their good intentions with their words, yet when you looked at the effects they had on the lives of other people, as well as the dynamics of their own personal lives, something was just wrong! It was sort of like the saying, “They talk the talk but don’t walk the walk,” only it was much deeper and more subtle than that. Then, one day I was reading some primate studies — you know, Jane Goodall and her chimpanzees — and I realized that the methods of observing creatures in the wild might be very useful for observing human beings. By watching and not being confused by words, one had a much better chance of actually figuring out what was going on. So, there I sat, watching these kids and I thought about applying these primate study guides to them. I noticed some funny things about their body language; who touched whom and how and where, how they positioned themselves in relation to one another, etc. Through these maneuvers, I could actually see a sort of pecking order existed. There was always one, in every group of five to ten kids, who seemed to be the dominator. I noticed that the dominator actually seemed to swell and stand taller and look wider and fuller after a few minutes of being fawned over, touched and so forth. There were also selected persons who the dominator would fondle in one way or another, as though tapping a battery and taking the juice out of it. Not only that, but after so many minutes, I noticed that some of the kids in the groups, would begin to slump and almost visibly shrink as though all the “juice” had gone out of them, and drift away looking tired and defeated. Shades of The Matrix! I suddenly realized that I was watching them feed on each other! It was one of the most truly bizarre and frightening insights I have ever had. I could see that energy was being transferred from one person to another to another with the dominator getting the lion’s share at the end. Well, that was a pretty interesting revelation. So, I started doing this a lot. I would watch people interact with one another to try to determine what the dynamics actually were. It was always better if I could hear nothing that they were saying, just to observe them from a distance without them knowing that I was watching. And, sure enough, it was a pretty standard thing. In every situation, there was a sort of feeding of energy going on. Then, I started observing married people, trying to determine who was the dominator, not in our terms, but in terms of who was getting the energy. Curiously, as often as not, it was the one who might have been thought the weaker or more helpless of the two — the one who evoked the most sympathy by their words and complaints, that actually swelled on the attentions of the “strong” rescuer. I then started to think about sympathy and pity in different terms altogether. I was seeing that it was truly a manipulation to get more juice. I began to wonder if this was evidence of some STS hierarchy? I wondered about so-called alien abductions in the same context. Do the human dominators dominate their little groups and absorb energy from the members and then get abducted and “milked” for the juice they have collected? It is an interesting conjecture of how these things actually might work. I was just asking questions and observing at this point and still wasn’t sure that I could even accept what the Cassiopaeans had said about these so-called aliens. At any event, these observations led to some interesting thoughts that I will share, though remember that they are just conjectural. I have never, in a conscious, awake state, seen an alien — either a Gray or a “Lizzie”. I have seen a UFO, a 300 foot wide black boomerang, directly over my head while I was in the pool with the kids who also saw it. I did suffer very strange physical symptoms for almost a year after this sighting which were later suggested to me to have been some kind of radiation poisoning, but at the time I was such a skeptic that I was convinced that I was just suffering from severe allergies and overwork. It seems to me that the majority of humans neither know nor suspect anything about a deeper reality; they are, for all intents and purposes, hypnotized. They live lives of quiet desperation, providing a feast at the very least for other people, and possibly even for aliens. Another odd thing I began to notice was that many people seem to have preprogrammed thought loops that, no matter how much logic or reason you use to persuade them to open their minds, they hold strongly to an emotional, subjective agenda and belief system. Debunkers and “natural disinformation artists” fall into this category. They don’t even realize that they are agents and would be utterly horrified if one could ever convince them of it, or even show reasonable circumstantial evidence that it was so. The fact is, they are programmed with their belief systems about the “Third Man” and they believe it because they want to. That “wanting” is, of course, their choice. I speculated that there are others who have the potential and inner nature to become aware. The aliens probably abduct these also, but, because of some “law” that must exist in their realm, they cannot just kill them to eliminate them as a threat. So, they implant them with mechanical devices designed to direct their thoughts toward self-destruction, or into useless pathways and senseless speculations, and also to manipulate their emotional states so that when they begin to get close to a truth or to some knowledge formulation, they can be obfuscated by their own emotions. Breaking through these control programs is an enormous task. A lot of things can happen in these situations. Either the person learns to move through these states of obfuscation, or they become fixated in them and are lost. These emotional states can involve likes and dislikes, positive and negative perceptions of an emotional sort that have nothing to do with any true reality. People can be emotionally driven to marry inappropriately so that the marriage partner becomes the controller and energy vampire; people can be emotionally driven to desire something so much that they are completely lost in their desire and will create all sorts of mental rationalizations that they use to convince themselves that what they are doing is appropriate and leading them to knowledge when it is really just another illusion. Seemingly synchronous events can be created and presented to the individual to persuade them that what they are doing or thinking is along the correct path because the very universe has “confirmed” it for them thereby. The manipulations and variations are endless, incredibly deep, and cunning beyond all understanding. And, it was a horrible thing to see! I understood that nearly all of humanity is merely FOOD. They are controlled and manipulated from birth to the grave just as depicted in the movie The Matrix, only they are not “batteries” for some computers that have run amok and taken over the world — they are literally physical and energy food for beings at higher densities. And, because of their ignorance, they can do nothing. Because they are not awake, they have no free will. As I continued to speculate about these matters, I understood that our culture, our religions, our philosophies, our sciences, all contribute to, and are controlled by, this vast, complex feeding mechanism — this hierarchy of Service to Self. Even most of the “new” New Age interpretations are merely another layer on the onion of deception to further deprive us of free will. What happened to “love”? What happened to “oneness”, goodness, unity, God being in His heaven and all being right with the world? What happened to all the consciousness raising that was supposed to be going on all over the planet? What happened to being “safe” if you surrounded yourself with “love and light” and positive thinking? Over and over again I was SEEing that these things were merely masks of the “feeding machine”. There is layer after layer of illusions. At our last meeting, we considered the healthy-minded temperament, the temperament which has a constitutional incapacity for prolonged suffering, and in which the tendency to see things optimistically is like a water of crystallization in which the individual’s character is set. We saw how this temperament may become the basis for a peculiar type of religion, a religion in which good, even the good of this world’s life, is regarded as the essential thing for a rational being to attend to. This religion directs him to settle his scores with the more evil aspects of the universe by systematically declining to lay them to heart or make much of them, by ignoring them in his reflective calculations, or even, on occasion, by denying them outright. Evil is a disease and worry about evil is a disease in itself. Even repentance and remorse may be but sickly impulses. There are different levels of the morbid mind … there are people for whom evil means only maladjustment with things, a wrong correspondence of one’s life with the environment. Such evil as this is curable … by either modifying the self or the things or both at once. There are others for whom evil is … a wrongness or vice in [their] essential structure, which no alteration in the environment, or any superficial rearrangement of the inner self, can cure, and which requires a supernatural remedy. On the whole, the Latin races have leaned more towards the former way of looking upon evil … while the Germanic races have tended rather to think of Sin in the singular, and with a capital S, as of something ineradicably ingrained in our natural subjectivity, and never to be removed by any superficial piecemeal operations. …We speak of the threshold of a man’s consciousness in general, to indicate the amount of noise, pressure, or other outer stimulus which it takes to arouse his attention at all. One with a high threshold will doze through an amount of racket by which one with a low threshold would be immediately waked. Similarly, when one is sensitive to small differences in any order of sensation, we say he has a low “difference threshold”. His mind easily steps over it into the consciousness of the differences in question. And just so we might speak of a “pain threshold”, a “fear threshold”, a “misery threshold”, and find it quickly passed over by the consciousness of some individuals, but lying too high in others to be reached by their consciousness. But, to ascribe spiritual value to mere happy-go-lucky contentment is but the very consecration of forgetfulness and superficiality. [And so those who experience] a little cooling down of animal excitability and instinct, a little loss of animal toughness, a little descent of the pain threshold, brings the worm at the core of all our usual springs of delight into full view, and turns us into melancholy metaphysicians. Conceive yourself, if possible, suddenly stripped of all the emotion with which your world now inspires you and try to imagine it as it exists, purely by itself, without your favorable, hopeful or apprehensive comment. It will be almost impossible for you to realize such a condition of negativity and deadness. Whatever of value, interest, or meaning our world may appear endued with are pure gifts of the spectator’s mind. Tolstoy writes: ‘…I was neither insane nor ill. On the contrary, I possessed a physical and mental strength, which I have rarely met in persons of my age. I could mow as well as the peasants; I could work with my brain eight hours uninterruptedly and feel no bad effects. And yet I could give no reasonable meaning to any actions of my life. And I was surprised that I had not understood this from the very beginning. My state of mind was as if some wicked and stupid jest was being played upon me by someone. ‘One can live only so long as one is intoxicated, drunk with life but when one grows sober one cannot fail to see that it is all a stupid cheat. What is truest about it is that there is nothing even funny or silly in it; it is cruel and stupid, purely and simply. ‘But perhaps, I said to myself, there may be something I have failed to notice or to comprehend. It is not possible that this condition of despair should be natural to mankind. And I sought for an explanation in all the branches of knowledge acquired by men. ‘I questioned painfully and protractedly and with no idle curiosity. I sought, not with indolence, but laboriously and obstinately for days and nights on end. I sought like a man who is lost and seeks to save himself — and I found nothing. The only thing that need interest us now is the phenomenon of this absolute disenchantment with ordinary life … when disillusionment has gone as far as this, when one has tasted of the fruit of the tree, and the happiness of Eden never comes again … the only happiness that then can come is something vastly more complex, including natural evil as one of its elements. The sufferer is born again as a deeper kind of conscious being than he could be before. Having arrived at this point, we can see the antagonism that must arise between the ‘healthy-minded’ optimist and the morbid-minded who take the experience of viewing evil as essential. To the latter, ‘healthy-mindedness’ seems unspeakably blind and shallow. To the former, the latter seems unmanly and diseased. They believe that there is something almost obscene about these children of wrath and cravers of a second birth. And, if religious intolerance, hanging and burning at the stake, were still in vogue, there is little doubt that the ‘healthy-minded’ would advocate the destruction of the morbid minded rather than the other way around. Yet there is no doubt that ‘healthy-mindedness’ is inadequate as a philosophical doctrine, because the evil facts which it refuses positively to account for are a genuine portion of reality; and these evil facts may be, after all, the best key to life’s significance, and possibly the only openers of our eyes to the deepest levels of truth. The lunatic’s visions of horror are all drawn from the material of daily fact. Our civilization is founded on the shambles and every individual existence goes out in a lonely spasm of helpless agony. To believe in the carnivorous reptiles of geologic times is hard for our imagination — they seem too much like museum specimens. Yet there is no tooth in any one of those museum skulls that did not daily hold fast to the body struggling in despair of some fated living victim. Forms of horror just as dreadful to the victims fill the world about us today. Here, on our very hearths, the infernal cat plays with the panting mouse or holds the hot bird fluttering in her jaws. Crocodiles, pythons and rattlesnakes are vessels of life as real as we are; and whenever they or other wild beasts clutch their living prey, the deadly horror that the morbid minded feels is the literally right reaction to the situation. …Since the evil facts are as genuine parts of nature as the good ones, and our philosophic presumption should be that they have some rational significance, then systematic failure to accord these things active attention is less complete than those systems that attempt to include these elements in their scope. What we notice most particularly about the difference between James’ “healthy minded” and “sick souls” is that it describes the difference between two different conceptions of the universe: subjective and objective. In the once born, the world is a one-storied affair … whose parts have just the values which they appear to have … [to the twice born] the world is a double-storied mystery. Natural good is not simply insufficient in amount and transience; there lurks a falsity in its very being. It keeps us from our real good and renunciation and despair of it are our first step in the direction of the truth. There are two lives, the natural and the spiritual and we must lose the one before we can participate in the other. The question now becomes: was I suddenly seeing the third density world as it really is? Was I seeing the objective reality? Q: (L) This recent “awakening” or period of seeing things with such clarity, as they really were, and the whole picture of the interactions between people and how truly ugly it can be. I plunged into a terrible depression. I needed to get my balance from seeing so much all at once. Can you explain to me what was going on? Q: (L) I tried to share this perception with other people, and almost without exception, when I said to people that I was finally seeing things in their true state and it was not a pretty picture, they all said “well, you are obviously seeing this through the eyes of some major spirit possession!” Why would they say this? A: First of all, it is not correct to perceive “everything in such darkness and gloom, etc.” That is merely the result of a cocoon of falsehood being removed. Celebrate the balance. Don’t mourn the death of an illusion of an imbalance. Q: (L) Where do I go from here? Where do we all go? In chapter three, I mentioned going through some strange effects which the Cassiopaeans pronounced as relating to my DNA changing a year prior to this “seeing” I am talking about now. In that previous situation, the effects were mostly mental and emotional in the sense of processing and assimilating personal issues. It was traumatic, to say the least, and did have physical side effects that included heat and chills, aches and pains and so forth. That “inrush” was a real challenge, but with some effort, I was able to maintain my equilibrium. I think I was being prepared for what was to follow almost exactly a year later. When I began to perceive the true difference between free will and lack of free will, STS and STO, subjectivity and objectivity, the “food chain” that exists on this planet, and of which I was a part in nearly all of my relationships (usually being the food), this perception caused me to take some very definite actions in my life which included divorcing my husband and eliminating a lot of people from close association because I could clearly see that they were feeding on me. By seeing the feeding mechanism, I was making choices based on not being food and not feeding on anyone else. And there was no way I could explain this to anybody. At the material level, this had the potential for creating massive and overwhelming suffering, both physical and emotional. I was, of course, mostly concerned about the suffering of the other people involved, but as it turned out, they actually suffered very little! It was me who went through the fires of Hell. When you refuse to be an unwilling food for anyone, and you are basing this on seeing something unseen, something that contradicts all your previously inculcated beliefs, you have seen something that is different and scary and awful and definitely not what your pastor or psychologist would recommend as a “realistic” or “positive” view of reality. When you are literally acting against everything you were taught and formerly believed in — and you are acting in faith that is pretty much as small as a mustard seed, for sure — what happens to you? In my case, I got sick. And other cases I know of had the same result, so I know it is not uncommon. I was unable to speak for several weeks due to a major inflammation of the larynx, my eyes swelled shut and refused to respond to either antibiotics or any other form of treatment; my ears rang constantly, drained a nasty fluid, and I had difficulty breathing and moving. Every joint and muscle in my body hurt as though they were broken and torn. I felt as though I were being literally crushed. I thought I would go mad from the pain and the grief of seeing what my life truly was and being forced, by virtue of my quest, to change everything. It was truly like dying. Those programs are pretty powerful, for sure! The natural predator of the psyche is not only found in fairy tales but also in dreams. There is a universal initiatory dream, one so common that it is remarkable if a person has reached age 25 without having had such a dream. The dream usually causes the person to jolt awake, striving and anxious. The dream usually involves being in a house with danger outside or darkness outside. The dreamer is frightened and frantically tries to obtain assistance. Suddenly, they realize the danger is virtually on top of them, or right with them, or cannot be overcome or avoided, or that they have lost. The dreamer awakens instantly, breathing hard, heart pounding. There is a strong physical aspect to having a dream of the predator. The dream is often accompanied by sweats, struggles, hoarse breathing, heart pounding, and sometimes crying and moans of fear. We could say the dream-maker has dispensed with subtle messages to the dreamer and now sends images that shake the neurological and autonomic nervous system of the dreamer, thereby communicating the urgency of the matter. The dream is a harbinger; the dreamer has just discovered or is about to discover and begin liberating a forgotten and captive function of the psyche. Dreams are ‘portals,’ entrances, preparations, and practices for the next step in consciousness. Dark man dreams are wake-up calls. They say: Pay attention! Something has gone radically amiss in the outer world… The threat of the ‘dark man dreams’ serves as a warning to all of us — if you don’t pay attention, something will be stolen from you! The dreamer needs to be initiated so that whatever has been robbing her can be recognized, apprehended, and dealt with. The young and the injured are uninitiated. Neither knows much about the dark predator and are, therefore, credulous. But, fortunately, when the predator is on the move, it leaves behind unmistakable tracks in dreams. These tracks eventually lead to its discovery, capture and containment. Wild Ways teaches people when not to act ‘nice’ about protecting their souls. The instinctive nature knows that being ‘sweet’ in these instances only makes the predator smile. When the soul is being threatened, it is not only acceptable to draw the line and mean it, it is required. “Are they equal,” asks the Koran, “those who know and those who know not?” (39:9) Knowledge is a divine attribute of all-encompassingness, so it is the most excellent bounty of God… For man, the seeker of knowledge, the acquisition of knowledge is endless, since the objects of knowledge are endless. This is the secret of man’s felicity. Knowledge, the greatest good, is also the greatest joy and the greatest pleasure. The never-ending trajectory of man’s life in the next world has to be explained in terms of his constant growth in knowledge. For the felicitous, this knowledge is totally congruent and harmonious with their souls, which have been shaped in this world throughout faith and practice, and hence every increase in knowledge is an increase in felicity. For the wretched, knowledge of things as they actually are is a searing torture, since it contradicts their beliefs and practices in this world. Every new knowledge — every new self-disclosure, recognized now for what it is — is a new misery. We see that God actually manifests Himself in the forms that make up the contents of the cosmos and our minds. God “imaginizes” Himself everywhere; wherever we look, we perceive His “dream”. Hence, we love God in everything that we love. God reveals Himself in every form, thus making it necessary that we love Him in any form that we love. Hence, all the Cosmos is noble in respect to its substance. There is no ranking in excellence within it. A maggot and the First Intellect are the same in the excellence of the substance. Ranking in excellence becomes manifest only within the forms, which are the properties of the levels. The Barzakh or Breath of the All is one entity, which is neither Being nor nothingness; it is imagination, which is He/not He. In this intermediary realm, every attribute necessarily goes back to God, who is the source of each reality, even the reality of “non-existence”. The All undergoes fluctuation in states to make manifest our entities; just as the number “one” undergoes fluctuation in the levels of the numbers to make manifest their entities. What is supposed to be our response to this seeing? Justice is to put everything in its proper place, while wisdom is to act as is proper in every situation. Proper activity is impossible without discernment of the right relationships. The “sage” or “possessor of wisdom” is He who does what is proper for what is proper as is proper. The Prophet said, “Give to everyone who has a right his right.” Here the term may also be translated as “rightful due”. The right of a person or a thing is that which he deserves on the basis of his nature and in keeping with the Law. The person who gives each thing its due is not only wise, but also courteous. The Divine root of courtesy is that God creates the world in order to manifest the properties of His names, and each name requires specific situations. Among these names are the “secondary causes,” or the “created things” of the Cosmos. God has established the secondary causes for a purpose, and the man of courtesy gives each its due. This means letting each reality play its proper function. The person who wishes to “abolish” secondary causes shows discourtesy toward God. The divine man of courtesy is he who affirms what God has affirmed in the place where God has affirmed it and in the manner in which He has affirmed it. God did not establish the secondary causes aimlessly. He wanted us to stand up for them and rely upon them with a divine reliance. The Divine Wisdom makes this known… So the divine and courteous sage is he who places the secondary causes where God has placed them. No one abolishes the secondary causes except him who is ignorant that God has put them there. No one affirms the secondary causes except a great learned master, a man of courtesy in knowledge of God. How does one come to know what something really is at its root, and what is its due? He comes to know the form of the situation through witnessing his own existence. In other words, we learn to ride the bicycle by riding it. When we sincerely ask questions of the Universe, without preconceptions, assumptions, or expectations, our lives will begin to form the answer. The possessor of unveiling comes to know that he is ever creating and has always been such, though he was not aware. But it is not the case that he is “ever creating” from his own limited will and desires, but rather that he comes to know that the All is ever-creating through him, though he may not have previously known this. It is in this sense that the idea “you create your own reality” has been most seriously distorted and corrupted to mean “if you just think nice thoughts, chant or say affirmations, or see nothing but what you want in your life, it will happen!” Nothing is further from the truth! This corrupted teaching leads, in fact, to the most serious error of discourtesy toward God which is to actually avoid giving each thing its due which generally leads to rather unpleasant repercussions as you can see from my own experience. I was such a firm believer in “giving until it hurts”, and “turning the other cheek”, and “sending love and light” that when I finally did see, it nearly killed me! God commands the person who has this unveiling to “give each thing its due” in its form, just as God “gave each thing its creation in its form.” Then no claim will be directed against him by any created thing, just as no claim is directed against the All by any created thing. This is the benefit of this unveiling. What does this mean in practical terms? It means that in every event and relationship of our lives, regardless of our subjective likes or dislikes, we are to learn to perform that which is “felicitous”, or objective, and to avoid performing that which is “forbidden”, or subjective. Our minds, enveloped in the veils of the secondary causes, or the material reality, often do not know the root of a thing. On the contrary, our reason often tells us that the thing is the substance itself. If we encounter something that is beautiful and pleasant to the senses, we may mistakenly think that it is beautiful and pleasant at its root. An example is the contrast between rich, fattening desserts as opposed to healthful, nutritious vegetables. The same rules apply to events and relationships in our lives. Affairs and personalities interpenetrate and mix and mingle so that it is difficult to separate them in terms of our perceptions and the roots. But that is our task. Again, we need to ask the question: what are these simple karmic understandings? What does it mean to give each thing its due? When I was seeing the darkness, the horror of the reality in which we live, I was seeing a Face of God. In Arabic, the “face” of something signifies its essence or reality. To say that God turns His face toward someone means that He manifests His reality to that person through self-disclosure. If the only Face of God you choose to see, is the “Good and Loving” face, the other face has not ceased to exist — it has merely become the Third Man who you cannot see and which will act in your life in ways you cannot comprehend. It is a little like being “in love” with someone who has certain characteristics that you decide to try to change, or to “put up with”. If learning to love means to love unconditionally, how can you say you love someone — a specific individual — if there are parts of that person you do not love? You don’t really love that person as he/she is. What you are actually in love with is your image of the person, not the person his or herself. In a sense, you could say that you are in love with yourself since you are the creator of the image of what your “loved one” ought to be. And the same is true of our “Love of God”. How can we possibly love Him, if we deny fully half of His being? If we set ourselves up as judge and jury as to what part of the universe, what part of existence, what part of GOD, is acceptable and “okay”? Know that love cannot absorb the whole of the lovers unless their beloved is God or one of their own kind. No other love can absorb a human being totally… When he loves that person, there is nothing in himself which does not find its corresponding part in his beloved. There remains nothing left over… His outward dimension is enraptured by his beloved’s outward dimension, and his inward dimension by his inward dimension. Do you not see that God is named both Manifest and Non-manifest? Hence love of God and love of his similars absorbs man totally. God is the root of all “noble character traits”. He is also the root of the “base character traits”. Having been created in the divine form, man embraces all the divine names and contains within himself all God’s character traits. The task of the spiritual traveler is to bring the names and character traits from latency into actuality in perfect balance and harmony. All character traits, both the noble and the base, which become manifest from man lie in his innate disposition. They belong to him in reality, not metaphorically or as a borrowing. In the same way, God possesses every name by which He has named Himself — including creation, giving life and slaying, withholding and bestowal, making, deception, guile, mockery, decision, decree, laughter, rejoicing, wonder, receiving joyfully, abasing, forgiving, avenging, merciful, wrathful, etc. To live in a condition where one denies the right of the so-called base character traits to exist, to consider them an error or a rebellion, a “Satanic delusion”, is to deny fully half of existence, fully half of God — to reject Him, to not love him; to love only those parts that the limited human mind consider to be acceptable and to hate those parts that are not pleasant and desirable to fleshly comfort — amounts to loving subjectively only the part of the self that is “acceptable”. This is a crucial point: to accept one’s own self, in all its many parts. It is very important to note that this does not mean that one “manifests” every negative character trait, it means that one accepts, loves, and tries always to choose to manifest the noble traits and to channel the base traits productively. To love objectively, all that is, unconditionally, both the light and the darkness, and to never interfere with the Free Will of another to choose to do or be as they see fit is one of the keys; one of the “simple understandings”. The master is talking to his disciples: Let me tell you a story. In a forest there lived a holy man who had many disciples. One day he taught them to see God in all beings and therefore to bow low before them all. All but the disciple of the holy man took to their heels. He reasoned that the elephant was also God in another form. Then why should he run away from it? He stood still, bowed before the animal, and began to sing its praises. The mahut (handler) of the elephant shouted: ‘Run away! Run away!’ But the disciple didn’t move. The animal seized him with its trunk, cast him to one side, and went on its way. Hurt and bruised, the disciple lay unconscious on the ground. Hearing what had happened, his teacher and his brother disciples came to him and carried him to the hermitage. With the help of some medicine he soon regained consciousness. In the same way it is said in the scriptures that water is a form of God. But some water is fit to be used for worship, some water for washing the face, and some only for washing plates or dirty linen. This last sort cannot be used for drinking or for worship. In like manner, God undoubtedly dwells in the hearts of all — holy and unholy — good and evil — righteous and unrighteous; but a man should not have dealings with the unholy, the wicked, and the impure. He must not be intimate with them. With some of them he may exchange words, but with others he shouldn’t go even that far. He should keep aloof from such people. Master: A man living in society should make a show of anger to protect himself from evil-minded people. But he should not harm anybody in anticipation of harm likely to be done him. God creates the good and the evil, the ugly and the beautiful, the straight and the crooked, the moral and the immoral. Now, how do we acknowledge all; how do we love God in all his many parts; how do we give each thing its due? Do we manifest all these attributes? The answer is “yes and no”. We must see that evil is real on its own level and exists precisely so that man faces the predicament as real as himself — to be forced by his own nature to choose between the straight path which leads to balance, harmony, and felicity and the crooked paths which lead to imbalance, disequilibrium and wretchedness. From God’s point of view, all paths are “straight,” but that is the point of view of God as Being who comprehends all names and all possibilities. It is not the point of God as Guide, who desires the perfection and felicity of mankind. From the point of view of Sheer Being, there is nothing but good. But as soon as existence is taken into account, good is by definition mixed with evil. Human beings do not dwell with Sheer Being, and are faced with choices between good and evil. Human beings are placed within the cosmos in a context of other existing things and are forced to choose the good, the better, the bad and the worse. Though goods and evils all manifest God as Sheer Good, in relationship to the criteria set up by the nature of things and willed by God they cannot be considered equivalent in respect to human beings. Hence we cannot escape the reality of good and evil in our actual situation. Human beings are forced to discern between good and evil at every stage of their existence in this world. The secondary causes assume the properties of His names, and the cosmos is full of life giving and slaying, forgiveness and vengeance, exalting and abasing, guidance and misguidance on all sorts of levels. In each case where human interests are involved, man has to see the secondary causes as good or evil. Hence, human beings must always separate God’s point of view from their own point of view. A lot of folks run amok on this one. Just as there is nothing but good in existence and all paths lead to God, so also all character traits are noble and none is base. But all character traits are noble only in relationship to their ontological roots. As soon as the four levels of good and evil are taken into account, some are noble and some base. In order to tell the difference between noble and base in what concerns ultimate felicity, human beings have need of Perspicacity. Perspicacity is a divine light, which God gives to the person of faith in the eye of his insight, just like the light that belongs to the eye of sight. When a person has this perspicacity, its mark is like the light of the sun through which sensory objects appear to sight. When the light of the sun is unveiled, sight differentiates among the sensory objects. It discerns the large from the small, the beautiful from the ugly, the white from the black, red, yellow, the moving from the still, the far from the near, and the high from the low. In the same way, the light of perspicacity through faith discerns the praiseworthy from the blameworthy, the movements of felicity pertaining to the next abode, and the movements of wretchedness. Some of the possessors of perspicacity have reached a point where, upon seeing a person’s footprint in the ground — though the person himself is not present — they are able to say that he is a felicitous person or a wretched person. This is similar to what is done by a tracker who follows footprints. The Light of Perspicacity comes directly from God, from the source, so to speak. That is why it is able to see not only the praiseworthy but the blameworthy as well. In other words, the light of perspicacity is the ability to see objectively. And we obtain this “perspicacity”, apparently, from knowledge. Q: (MM) Don’t you get more free will by assimilating knowledge? Q: (L) So, in other words, knowledge and awareness makes you aware that you have free will, and also makes you aware of what actions actually are acts of free will, and therefore, when you know or suspect the difference between the lies and deception and truth, then you are in a position to be in control of your life? Thus we begin to have some idea of how to “give each thing its due”. The concept that is beginning to form is that one should be able to read the hidden signature of both other people and events in our lives and respond in the way that will channel the various attributes of both others and us so that our actions are praiseworthy in the spiritual sense. But that leaves out the important point that, in the end, it is a choice. Free Will is, as the Cassiopaeans have said, the most important law of all Creation. Q: (L) Okay, now [a correspondent writes and] says: “Laura brought up several comments about Love that confused me. I do not understand how giving love when not being asked could harm instead of improve.” Can you remark on this? A: “Giving” love is not giving, in such a case. Q: (L) So, if you give love when you have not been asked, you are not giving? A: You are taking, as usual. Q: (L) When you say you are “taking”, what are you taking? A: Energy, a la STS. Q: (L) How does it come that you are taking energy from someone by giving them love when not asked? A: Because an STS vehicle does not learn to be an STO candidate by determining the needs of another. Q: (L) I don’t understand how that means you are taking energy? A: Because the act is then one of self-gratification. If one “gives” where there is no request, therefore no need, this is a free will violation! And besides, what other motivation could there possibly be in such a scenario?!? Think carefully and objectively about this. Q: (L) My thought would be that, in such a scenario, that if one gives love to someone who has not asked or requested, that it seems to be a desire to change the other, i.e., a desire to control. Q: (L) Now he says further: “Yes, everything is lessons and if a person has chosen a specific path they should be allowed to go and learn their way. But, let’s say this is happening to someone you really love. And let’s say that the person may be in a period of his life that his/her thoughts are probably taking her/him to commit, let’s say, a murder. Don’t you think that if you send this person love, even unconsciously, that it may provide the necessary energy (influence) to stop that murder?” Comment please. A: No, no, no!!! In fact, if anything, such an energy transference even could enhance the effect. A: Imbalanced waves could be drawn upon by the receiver. Q: (L) I think that this word he used is a clue: “Don’t you think that if you send the person love, it could provide the person the necessary energy” and in parentheses he has the word “influence” which implies control of the other person’s behavior, to “stop that murder”. So, it seems that there is a desire to control the actions of another person. Q: (L) But, his intent is entirely benevolent because he wants to stop a murder, which is the saving of a life, as well as prevent the loved one from going to prison. So, it seems to be benevolent in intent. Does this not make a difference? A: Have we forgotten about Karma? Q: (L) Well, I mentioned the fact that one cannot always judge these situations because we don’t know. We cannot know. For all we know the potential murder victim is an Adolf Hitler type or the potential parent of one, or something like that, and then the murder would save many lives with the sacrifice of two lives; or that this murder is supposed to happen because of some karmic interaction that is essential between the murderer and victim, and that we simply cannot know these things and judge them. A: Why would one choose to send this? What is the motivation? Q: (L) To change it to your idea of what it is supposed to be. To control it to follow your judgment of how things ought to be. A: Exactly. The students are not expected to be the architects of the school. Q: (L) So, when you seek to impose or exert influence of any kind, you are, in effect, trying to play God and taking it upon yourself to decide that there is something wrong with the universe that it is up to you to fix, which amounts to judgment. A: Yes, you see, one can advise, that is okay, but do not attempt to alter the lesson. Q: (L) He also says: “I believe that an enlightened being is emanating love wherever that person is, and this is even without being asked. It just happens because that is what they are — love.” Comment, please. A: An enlightened being is not love. And a refrigerator is not a highway. Q: (L) What?! Talk about your mixed metaphors! I don’t get that one! Q: (L) They are completely unrelated! Q: (L) What is an enlightened being? Q: (L) What are the criteria for being an enlightened being? Q: (L) When one is enlightened, what is the profile? A: This is going nowhere because you are doing the proverbial round hole, square peg routine. Q: (L) What I am trying to get to is an understanding of an enlightened being. This correspondent and a lot of other people have the idea that an enlightened being is love, and that is what they radiate, and that this is a result of being enlightened. A: No, no, no, no, no. “Enlightened” does not mean good. Just smart. Q: (L) Okay, so there are STS and STO enlightened beings? A: Yes, we believe the overall ratio is 50/50. Q: (L) Okay, what is the profile of an enlightened STO being? A: An intelligent being who only gives. Q: (L) Well, since we have dealt with the idea of not giving love to those who don’t ask, what do they give and to whom do they give it? A: All, to those who ask. Q: (L) Okay. A group member responded to him writing: “E***, thank you for your pointing out the paradox of the concept of the expression of love between the C’s and that as some of us think we know, but know what we experience. I feel that it may be very difficult for the C’s to deliver adequate understanding into our third density or dimension.” […] (S) My view of the paradox is thus: If one emanates love as a natural course to the Universe it is not consciously limited or directed — at least I, for one, cannot do this — that simply is the way some of us are a lot of the ‘time’. To eliminate groups or individuals is beyond my comprehension and it certainly would compromise my experience of sending love. Unless one is Bodhisattva,3 love is probably only directed with greater intensity when focused toward an individual; how is one to know whether the intended recipient is ready/able to receive? […] And ‘receive,’ I think is a clue: the intended recipient can either remain oblivious or ward off the love energy — free agency. Q: (L) If it is “love energy”, is it subsequently corrupted by STS? Q: (S) Giving love to the Universe may be the best way generally, but if one does focus toward a loved one and it can be effective, could the general Universe be just as effective? A: The universe is about balance. Nuff said! Because an STS vehicle does not learn to be an STO candidate by determining the needs of another. In fact, if anything, such an energy transference even could enhance the effect… Imbalanced waves could be drawn upon by the receiver. We are getting somewhere, I think. “An STS vehicle does not learn to be an STO candidate by determining the needs of another” because that is, in essence, judgment. But let me note right here that to have an opinion, to discern, to choose who you will or won’t associate with, who you like or don’t like, and all the various sorts of pseudo-judgmental choices we make from day to day, thinking guiltily that we are being judgmental because we are making a choice, are not, in fact of such a nature; such opinions/choices are necessary perspicacity. What is it to judge? To determine the needs of another — and then, to act based on that determination. That leads to “sending” some kind of energy — whether it is “love and light”, or “turning the other cheek”, or preaching to “save” someone — all of those amount to determining the needs of another, and doing something without having truly, at a soul level, been asked. Now, a lot of people manipulate in order to get energy. That is not asking. Begging, pleading, acting pitiful, being helpless or a klutz or a screw-up are all ways of taking energy. And, what is the result if you allow yourself to be manipulated and to give in response to such forms of persuasion? This means, in a very real sense, that much of the activity on this Earth that passes for benevolent acts consists in feeding the STS hierarchy. It is rather like the co-dependent relationship. The abuser cannot abuse you without your permission. Not only that, all the activity to “save” this or that group, to “bomb the earth and its inhabitants with love and light,” may only serve to increase the negativity, the darkness, and the control system because, without having been asked, or acting against those whose choice it is to deceive, to control, to misinform, we are violating their free will in acting against them, even if our intentions are good. Thus, they feed on this energy, increasing their energy in Service to Self. We all want to “save” our loved ones from mistakes of judgment or action. We all die a little inside when we see our children following pathways that could, in some cases, actually end in their deaths. But, in truth, we can only advise, we cannot act against their choices if they are at or beyond the age of consent. Where so many of us fall by the wayside is in not understanding how much of this is masked in the guise of helplessness and appeals to our sense of pity and compassion. How many of you have ever given time, energy, money, shelter, food, clothing or other help to a “pitiful” person, only to be screwed or stabbed in the back by that person? Over and over again, you say? Yes. Not only that, they seem to go on to bigger and better things, using more and more people, getting stronger and stronger on other people’s money and energy. Curious, isn’t it? And what are we taught in our religion? To “forgive and forget” and “turn the other cheek” and “go the extra mile”, and go back for more! We stay in relationships or situations because we “feel sorry” for someone. When we try to extricate ourselves, we find that the pity level shoots up and the crying and begging are just awful! Q: (L) I also noticed that several of us have been involved with persons and relationships that seem designed to confuse, defuse, and otherwise distort our learning, as well as drain our energy. Basically, keeping us so stressed that we cannot fulfill our potential. Is there some significance to this observation? Q: (L) One of the things I have learned is that these individuals seem to attach via some sort of psychic hook that enters through our reactions of pity. Can you comment on the nature of pity? Q: (L) But, the ones who are being pitied, who generate sensations of pity, do not really pity anybody but themselves. Q: (L) Then, is it true as my son said, when you give pity, when you send love and light to those in darkness, or those who complain and want to be “saved” without effort on their own part, when you are kind in the face of abuse and manipulation, that you essentially are giving power to their further disintegration, or contraction into selfishness? That you are powering their descent into STS? Q: (L) Yes. I have seen it over and over again. Were the individuals in our lives selected for the extremely subtle nature of their abilities to evoke pity, or were we programmed to respond to pity so that we were blind to something that was obvious to other people? Q: (L) What is the purpose of this draining of energy? A: Or, at least not the important things. You are dealing with a no-win situation!! As you know. A: Not correct concept. You do not need to “act against them”, you need to act in favor of your destiny. Q: (L) But, when you do that, these persons make you so completely miserable that there seems to be no other choice but a parting of the ways. A: Yes, but that is not “acting against”. Quite the contrary. In fact, remember, it takes two to tango, and if you are both tangoing when the dance hall bursts into flames, you both get burned!!! Q: (L) Why is it that when one tries to extricate from such a “tango”, why is there such violent resistance to letting you go when it is obvious, clearly obvious, that they do not have any feeling for you as a human being? A: It is not “they”. We are talking about conduits of attack. All STS are candidates for this. There are only about 6 billion of you though. Q: (L) Okay, all people can be conduits of attack. What is it that can help to get energy and concentration back? Q: Where does this energy drain? 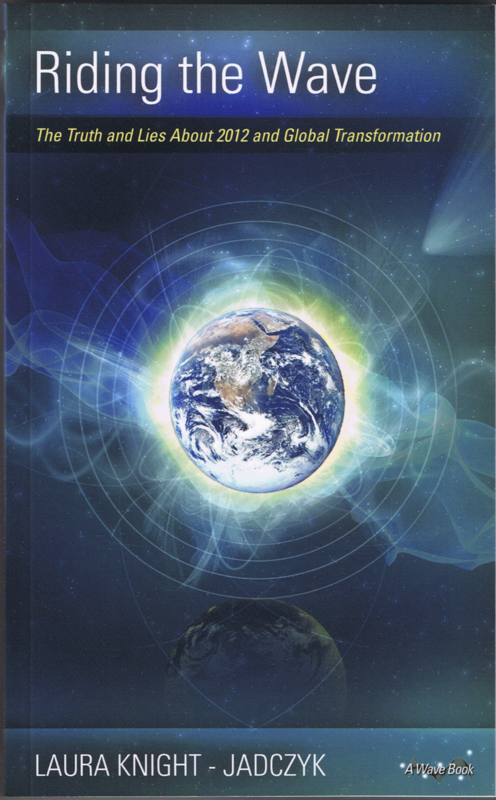 Q: They drain our energy from us and fourth density STS harvests it from them? A: “They” do nothing!!!! 4th density STS does it all through them! Q: (L) In other words, if we are involved with people who are not aware, who do not understand the situation, the controls and manipulations from other densities; and further, if they don’t want to learn, we are in a “no-win” situation, and the only real option is to extricate ourselves, otherwise we are “dancing with the Devil,” so to speak. (T) Well, I would like to know what is it in us that makes us attracted to such people? A: It was the idea of 4th density STS. Q: (L) That means that through other people they can control our thoughts and emotions, put ideas into our heads, and we think it is a good idea to “save” someone. You don’t know. It is taught in our religions and culture to give until it hurts, and, in fact, to give because it hurts. The whole situation is designed and controlled from another level. Any further comment on this subject? A: Once you have truly learned the program, just plug it in. We mean that all you have to do is learn the patterns of behavior, the subtle signs, and you will always have the ability of avoiding it. Your own as well as others. Anticipate not! Q: I guess once you have truly learned what is being said here, just plug it in. […] So, once you have learned the program from this person, you will be able to avoid getting into another, similar one. (T) But, I should have learned it from H. I did the same thing twice. A: The signs were present, but you did not read them. You did not yet know the program. Anticipate not! Q: (L) I guess that means that when you are thinking that you can change another person, or that changing something about what you are doing naturally will help them, you are anticipating. A: Or that it would be different than it turned out to be. Lesson number 1: Always expect attack. Lesson number 2: Know the modes of same. Lesson number 3: Know how to counteract same. Q: I guess that it is true that anything that tends to cause interference in doing what one is here to do could be considered attack. Whether it is your mother being sick, or your kid falling off a bicycle and breaking his arm. It is all related to lack of vigilance on the part of the one who is the conduit of attack. Q: Protects! I guess that a person just has to come to the full realization that virtually everything that happens on the planet — no exceptions — is a symbol of some interaction of STS vs. STO energy at higher levels. A: Yes, and for many, that is not as of yet realized. It must be part of a natural learning process. Q: Well, I guess that all of us tend to keep one or another area sacrosanct and think that it is not subject to attack, or that we can use logic and third density thinking to explain it or “fix it.” Until a person realizes that attack can come through even one’s self, wives and husbands, children and parents, friends, virtually anybody — nobody is exempt. A: The block is a lack of faith in the concept. Remember, when one has been indoctrinated by religion, culture and/or science, they are predisposed to view all things in the sense of the measurable physical reality exclusively. Humans need to be cured of their lack of faith in the reality of nonphysical attack. A: You see; we speak to all of you when we say this. It’s now time for you, as individuals, to try to move away, as much as possible, not to force yourselves, of course, but to try and move away at your own pace as much as possible, from the constraints of third density. You have all learned lessons to the level where you are more than ready to begin to prepare for fourth density. Third density involves a level of physicality and restriction and restraint and all of the things that go along with those that you no longer need. So, therefore, even though we understand that at times it may feel comfortable to cling to this, there is time for you — and there is that word again — it is time for you to consider moving ahead and get ready for fourth density and not to be concerned with such things as time or how to free yourself from the illusion of time. That really is not important. That’s like the third grade student delving into mathematics and stopping everything to go back and contemplate the ABC’s and why it isn’t CBA or BAC. There really is no point. It is what it is. They are what they are. Q: (L) That is what I want to know, what is it? A: Why do you need to know this? Q: (L) Because I am curious. What is time? A: We have already told you that it is a non-existent, artificial creation of illusion for the point of learning at the level where you are at or were, and once you have left that level, you no longer need it. Q: (L) Point taken. (T) Do you wear a watch? (L) No. (SV) I have to because of my schedule. (T) But, you wear the watch because other people believe in time? (SV) Yes. (T) And that is out of courtesy for their belief, not your belief. A: That is precisely correct. While you are still in this third density it is still necessary for you to conform, to a certain extent, to the ways of others who are more comfortable within the realm of third density. But, as we have stated previously, perhaps it is “time” for you to begin preparing for fourth density and not concern yourself any more than is absolutely necessary with all the where’s and why’s and what for’s of third density reality. This truly is behind you now, and we know that because we can see from all levels six through one and back again in full cycle. Q: (L) Going along with that statement, not too long ago I asked a question about the purpose of this group and the answer was that if we knew, or, more specifically if I knew, I would become “unglued”. Was that meant literally? A: Oh, yes certainly. Every single bone in your body is going to unglue itself from every other. Q: (L) Well, since you are saying that it is time for us to begin preparing for fourth density, maybe it is time to deal with that question? A: Well, perhaps you are trying to steer us now. This is amusing because, of course, you sought our help. Now you are going to put us in your place and vice versa. But, actually, in a way, that is what is already happening, because again we must remind, that we are you in the future and we have already experienced all that you are experiencing. And of course, we are experiencing as it is always being experienced. But, it is important to note that you have been making progress despite our occasional chiding, and we are very proud of the progress you have been making. Also, we want to remind you again not to worry about the extent of the progress or the direction it is taking. Just let it happen. All knowledge that it is absolutely necessary for you to gain to sustain this progress will be gained at the appropriate point in… [chorus] Time! Therefore, not to worry as it will all fall into place, as we have told you. Now, we do not feel that you are ready, as yet, to know what your ultimate purpose is, nor is it necessary for you to know, and it certainly would not be helpful in any way, so we ask again that you please not worry about that because when the “time” comes for you to know, you will. We need to think long and hard about this. How many groups and religions and cultures and political systems down through the millennia have acted in this very way? The ones that come chiefly to my mind are, of course, the monotheistic religions and all the scare tactics and hypnotic efforts used by them to “save” humanity. It’s really scary when you think about it. We are all Service to Self here in third density — we wouldn’t be here otherwise. Struggling against it isn’t going to help. But, learning to make your choices so that you are the least available food for other beings (acting in favor of your destiny), and stopping your own feeding on the energy and resources of others is definitely a plus. There are relationships where it is agreed that the members will feed each other with knowledge and support and emotional energy, time and money, and all other things. And if it is done in honesty, with no hidden agendas, because each wants and needs what the other wants and needs to offer, then that is symbiosis and is Service to Others. Q: (T) You talk about both STO and STS. Yet you tell us that we need to learn to be STO. Why is there a difference between what we have to do and what you are doing? A: STO is balance because you serve self through others. Q: (T) You have said a couple of times that you are STS by being STO. Is this not true? Q: (T) Kind of like: what goes around, comes around? Q: (T) Is STO a means to an end for STS? A: No. STO is balance. STS is imbalance. Q: (T) How can you be STS through STO if STS is imbalance? A: STO flows outward and touches all including point of origin, STS flows inward and touches only origin point. So, essentially, the difference between being STS, but moving in the direction of STO (an STO candidate), and being STS intensifying in the STS mode, seems to consist in deliberately choosing STS. Most people are duped and tricked into choosing it. When they begin to understand what it is that they are really doing, they begin to wake up. And, when they wake up, they then make the choice — to give or to take. Everywhere you look, there is the Face of God. 1 This book has recently been prepared for publication. Look for it soon on amazon! 2 This remark takes on an entirely new meaning in the present time, as I edit this material for book publication. We see the possibility looming larger every day through the instrument of Obama’s administration, and the legacy of George Bush and the Neocons, many of whom are still pulling the strings of covert control. 3 In Tibetan Buddhism, a Bodhisattva is anyone who seeks enlightenment not only for him/herself but also for everyone. A Bodhisattva is motivated by pure compassion and love. Their goal is to achieve the highest level of being: that of a Buddha. Bodhisattva is a Sanskrit term which translates as: Bodhi [enlightenment] and sattva [being]. Their reason for becoming a Buddha is to help others. By entering the Bodhisattva way, the mind must become enlightened. And so the training begins by generating the 6 Perfections. 1] generosity, 2] ethics, 3] patience, 4] effort, 5] concentration, and 6] wisdom.